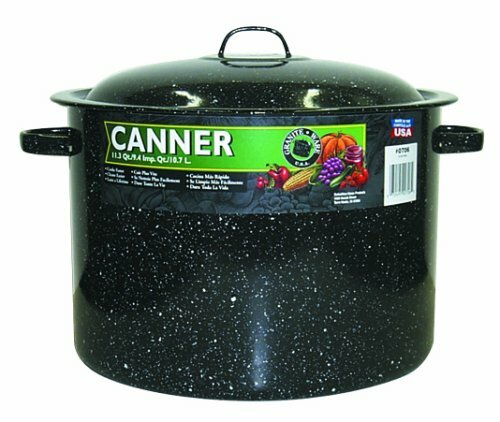 July 29, 2015 12 comments on "Best Salsa Recipe for Canning"
If you are looking for the best salsa recipe for canning, then you have come to the right place! I have been searching for a good salsa recipe for years. Personally, I like a salsa that is more like pico de gallo, or more chunky. My husband, however, loves his La Victoria. I have been looking for a recipe that more resembles La Victoria, that is more thick like tomato sauce. I finally realized that tomato sauce is what was missing from the recipe. Adding tomato sauce to your homemade salsa makes it thicker and more like store bought salsa. Making homemade salsa is also a great way to use up all of the extra tomatoes from your garden and store them for winter. You should try this salsa recipe. You won’t be disappointed. New to canning? This video will show you step by step how to can the best salsa you’ve ever eaten. This salsa only has a few steps to it. First you need to chop the onions, green peppers, and jalapenos. You can peel the tomatoes first if you want, but I didn’t. 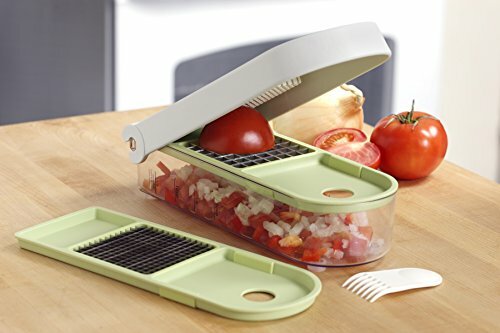 To make life a lot easier, if you don’t already have a vegetable chopper, you might consider getting one like this one . It takes all the work out of chopping vegetables and makes cooking and canning much more enjoyable. Combine the chopped vegetables, garlic, spices, vinegar, and tomato sauce together in a large pot. Simmer for 10-15 minutes. If you find the salsa is not as thick as you would like, add 1/3 c. or so of clear jel . 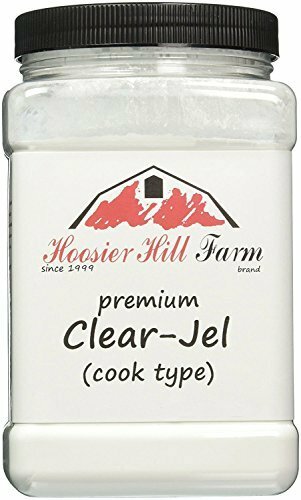 Clear jel is a great tasteless thickener that can be used for canning and is a great solution for runny salsas, pie fillings, etc. While the tomatoes are simmering, sterilize your canning jars, rings, and lids. Ladle hot mixture into sterilized canning jars, leaving 1/2 inch head space. 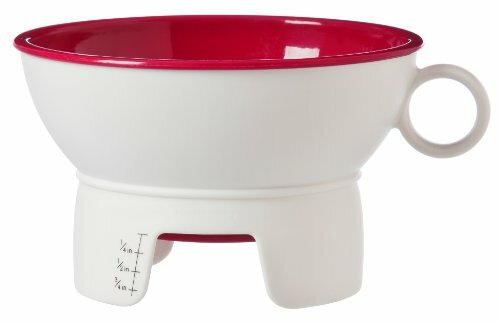 You can easily measure the head space with this inexpensive canning funnel. Wipe rims of jars with a clean dish towel and place lids and rings on jars. Process jars in boiling water canner for 15 minutes. Remove jars from canner and let them set on a towel on the counter until they cool and the jars have sealed. If any of the jars don’t seal, you can place those jars in the refrigerator to eat in the next couple of weeks. Sealed jars will last for a year or more in the pantry. This recipe makes 4-5 pints or 2 quarts of medium salsa. Note: You can adjust the amounts of spices, seasonings, and salt in this recipe, but don’t adjust the amount of vinegar, vegetables, or tomatoes. This recipe needs to maintain a certain acidity level in order to process it in a boiling water canner instead of a pressure canner. 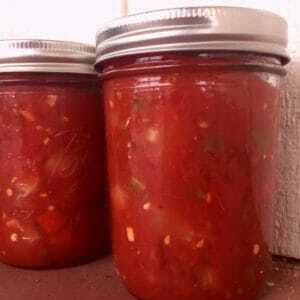 12 Comments on "Best Salsa Recipe for Canning"
Hi I just made the salsa. It looks good have not tried it yet. My only problem was it didn’t seem to thicken as much as I would have liked and I didn’t have the clear gel. Hi! The Clear Jel is definitely what makes this salsa thick. You aren’t going to get the same consistency without it. There are two kinds of Clear Jel: one that has to be cooked, and one that is instant and can be used cold. When you open a jar of the salsa you made, if you take a little of the liquid out of the salsa and whisk it with a little bit of instant Clear Jel, it will get very thick and you can mix it back in with the salsa. Cornstarch would have the same effect, but you would have to heat the salsa up again to get it to thicken, and you don’t want to do that. The instant Clear Jel works like magic, no kidding. It can be used to thicken watery gravy or any liquid you want to instantly thicken. Hi This recipe sounds really good. Just wondering if I could use tomato paste instead of sauce for this salsa? Hi! Yes I think that would be okay, you should probably add a little water to it to make it the consistency of sauce and then use the measurement the recipe for calls for. Is it hot or mild? Hi Jennifer, I would say this is a medium salsa. So leave out some jalapenos for mild, or add a couple more for hot 🙂 I just made some yesterday and added a couple extra jalapenos and the salsa really had a kick to it! What if I don’t want to use the tomato sauce?? Hi Christina, you don’t have to use tomato sauce, but the tomato sauce gives this salsa a much nicer texture than most salsas I’ve canned. It’s fine to leave it out but the salsa will be a lot more liquid. Hi, I canned some salsa last year that called for apple cider vinegar, and that’s all we could taste. 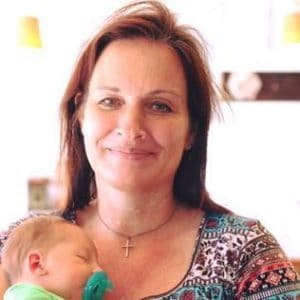 It was wasted … made me so sad. Does this recipe turn out with a strong taste of vinegar? ?